As some of you might be aware, my parents have a nursery in Somerset. This time last year they brought some 600 apple trees at auction and this involved enlisting me to help dig them all up – I certainly didn’t need to get my running shoes on that week! The next job was to pot them all up (and I did help with that a bit too) but the fact of the matter is that the effort put in by all was really worth it as they are now selling like hot cakes. MM111 – Vigorous growth with approximate height 0f 5-6 metres when mature. MM106 – Semi-vigorous growth with approximate height of 4-5 metres when mature. M26 – Semi-Dwarfing growth with approximate height of 3-4 metres when mature. M9 – Dwarfing growth with approximate height of 2-3 metres when mature. M27 – Very dwarfing growth with approximate height of 1.8 metres when mature. 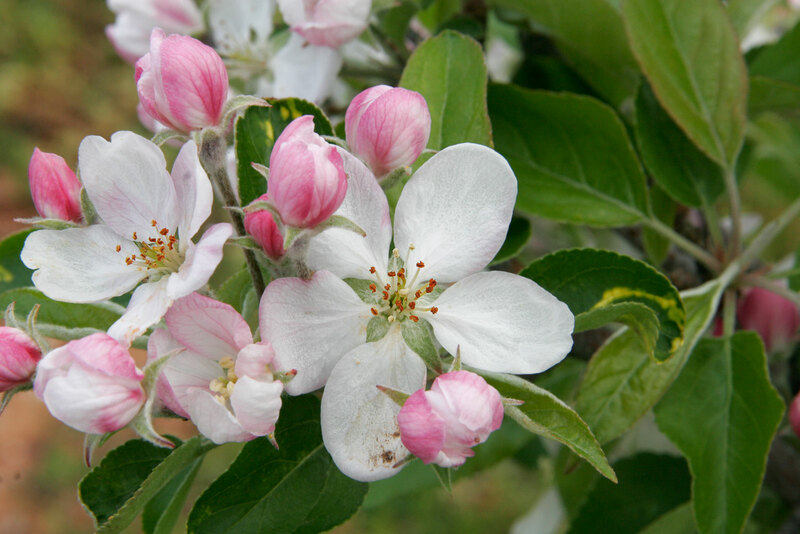 The other consideration when choosing an apple tree, other than the variety you want to grow, is the pollination group. Some apples are self-fertile which means that you don’t need another tree in the vicinity to ensure the pollination of the flowers. If you live in a town, or close to other houses where apple trees are grown then planting only one tree is an option because the bees and other pollinating insects will pollinate from trees in other gardens. 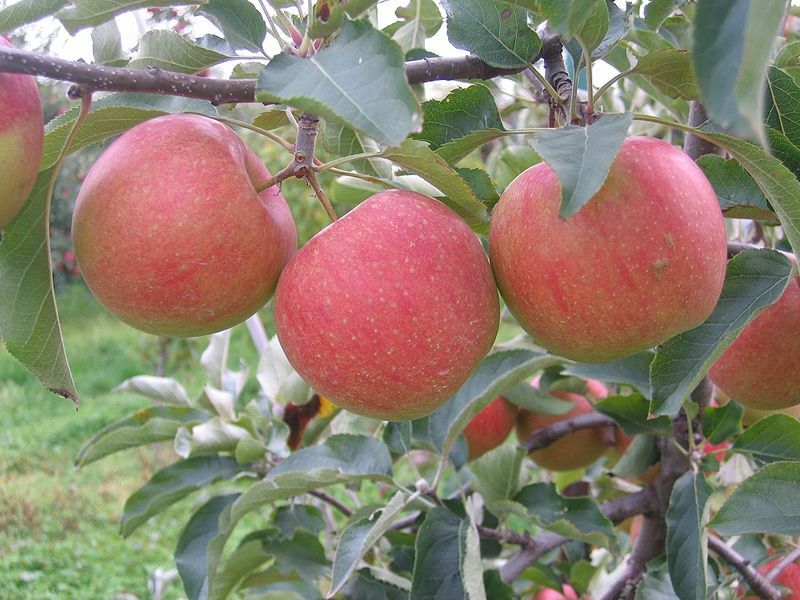 However, if there are no other apple trees nearby then you’ll need to pick 2 varieties that are in the same pollination group or the adjoining group so, for example, trees in group 2 and group 4 will pollinate group 3, as will other varieties in group 3. What kind of apple tree do you have pictured? I have what I think is an apple tree in our new back yard and the flowers look just like the one you have up. Regret that I’m not sure which variety of Apple it is. It’s definitely some sort of eating apple but it’s a while ago since I took the picture – My parents have over 100 varieties in their nursery!